The Flowmaster is a low-rockered classic longboard shape with 60/40 rails and features nose concave flowing into a rolled mid section through to a Vee tail. The outline curvature, with just the right amount of nose and tail width and hip provide an easy pivot in a great nose-riding machine. A smooth slicing rail profile and well balanced volume distribution ensures fun on small wave days and extended time on the nose. We call it the Flowmaster because all your turns will feel 'seamless' with a dreamlike flow. The board comes in a compact, nimble 8'0 version and classic 9’2 length. 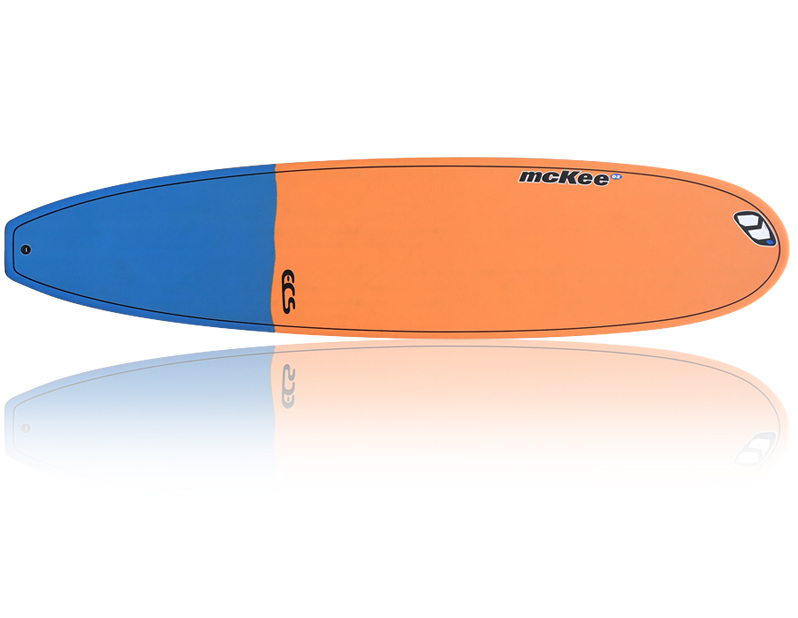 For fins, the Flowmaster uses the McKee Longboard Multisystem formula, catering to Single, Tri, Quad, Five fins or whatever combination imaginable.